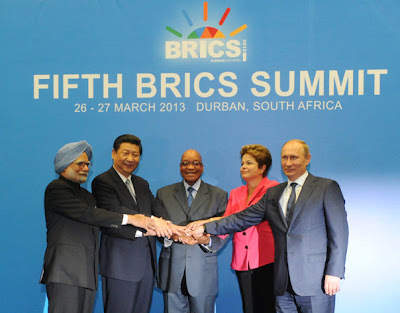 Chris Underwood's Blog: MEPs size up BRICs: but who are they both? MEPs size up BRICs: but who are they both? In a typically impenetrable EU document, meant as a press release but written more like an insurance policy, the European Parliament has given an insight into how it regards the emerging BRIC bloc as a potential foreign policy actor. The question seems to be “are they partners, or rivals … and who are they anyway?" while their very long answer seems to go to the heart of who or what the EU should be as a global foreign policy power for the next decade which makes it quite interesting as Europe starts to consider who should replace the High Representative for Foreign Affairs, who has announced she will be stepping down next year. The EU has a foreign policy? The EU’s own evolution as a foreign policy actor is frequently talked about from a negative starting point. There are, after all, no shortage of examples from Yugoslavia, the on-going games of nuclear footsie with the Iranians and a failure to predict or respond to the Arab Spring to illustrate its weaknesses. Yet the recent Serbia-Kosovo accord, for which High Representative Cathy Ashton was rightly lauded, is not easily dismissed and suggests that when the EU plays to its strengths then breakthroughs in the most irreconcilable situations can become possible. Foreign policy analysts tend to look at the EU’s evolution from three perspectives. A realism perspective holds that this is all about balancing: pure power politics in this case aimed at giving Europe enough weight to push back against the dominant US. Liberal theorists think this is an outdated view and suggest that it is instead a collaborationist venture with partnership and trade at its core. 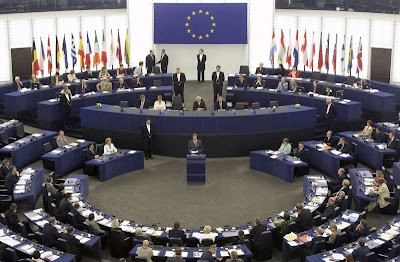 While normative thinkers bewail the EU’s abandonment of its original aim of being a civilian power, projecting values instead of soldiers, and suggest that this is all now part of a journey towards supranational statehood with the acquisition of accoutrements of statehood along the way, such as the Common Security & Defence Policy. Whichever is closer to the truth probably depends on who you ask, but the emergence of an alternative power, trading or value system in the form of the BRICs is a direct challenge to any and all of those agendas, so no surprise that the European Parliament has been giving it some thought. Why should we care what the Parliament thinks? 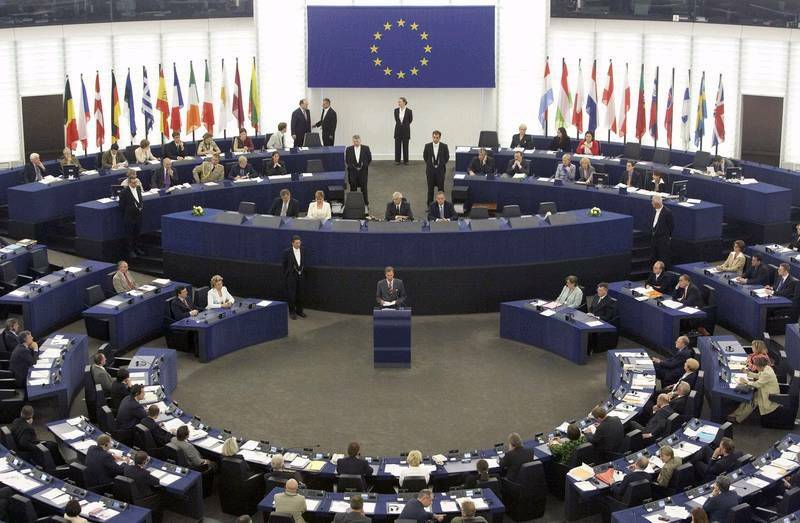 The European Parliament has long been a paper tiger, with MEPs unable to exert any influence between the two extremes of a) nothing and b) Armageddon. The Armageddon option has only been used once, triggering the resignation of the entire Commission, so they rarely present a major challenge to Berlaymont. So who cares, you might ask. The answer is that in recent years the Parliament has grown in bargaining power vis the other three elements of the EU – the executive arm of the Commission, the Member State Council and the European Court. 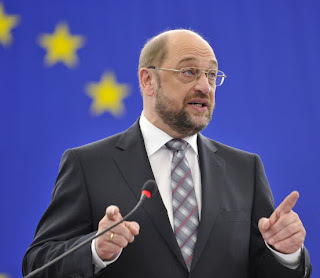 This can be observed by the likelihood that the budget recently agreed by the Council and Commission will be rejected by the Parliament and be re-negotiated, while the current President of the Parliament Martin Schulz is widely regarded as the incoming President of the Commission. Put that power next to the forthcoming 18 months of jockeying for position to replace Cathy Ashton as the next High Representative, and you have a Parliament entering and shaping the debate about what that replacement should actually be doing. In other words, what is the role of the EU as an actor on the global stage for the next decade? So they matter, for once. What do they think of the BRICS, then? It makes interesting reading. If you separate out some of the ridiculous demands, such as the Parliament should be represented in bilateral meetings between the EU and BRIC countries (what other foreign ministry would do that?) and the mundane, then you have some very pertinent observations that are worth dwelling on. There are too many to list exhaustively, but three stand out for me. So, roughly translates as develop relations with India and Brazil, while taking Russia and China to task over civil liberties. Big ask. Bit of a long one that but I thought it worth quoting in full – they seem, in classic liberal terms, to be calling for a new world order based on collaboration (note “with our transatlantic colleagues” interestingly, no realist balancing of the US here), free trade and the rule of law. Not a bad goal, if a little lofty. Ignoring the fact that the G20 does not include many nations who would, both by population size and GDP, surely equal those who are members (such as Indonesia) the Parliament is here calling for things to stay as they are. Indeed the reference to the IMF is also interesting – especially since the Director is always European, by tradition. So no great difficulty working out what’s going on there. Looking at these three it seems the Parliament want a) to be at the negotiating table, b) a bit of new world order based on liberal trade and c) for the EU’s foreign policy goal to be to defend Europe’s grip on at least some of the levers of global governance. A cocktail of liberal free trade with a dash of power politics. Will they get it? Doubtful, but as a contribution to the debate over how Europe's role as a global foreign policy actor in the next decade, it’s not a bad starter.